WeGotTickets: With Moshi Moshi’s 20th anniversary not too far away, can you tell us where it all got started with founding the label? Stephen Bass: Three friends in awe of music and the idea of record labels wanting to do something practical with music that they loved rather than just having to work on the stuff given to them with their day jobs. That soon dropped to two and soon became pretty hard work, but the fun and satisfaction and the bands we worked with made up for it. It blossomed from a love affair to a full time marriage about 13 years ago and we’re happy to see it still blooming. WeGotTickets: What are you listening to at the moment? SB: Seemingly a lot of jazz – Moses Boyd, Vels Trio. I always listen to a fair amount of house music too. Gilles Peterson’s show every week and also Late Junction and the Freak Zone, then NTS and Balamii. To be honest I don’t get to listen to as much new music as I would like as a lot of time is spent listening to Moshi bands and also stuff for PRAH Recordings. The Whitney album is gonna be a summer one for me though I think. The new Wave Pictures album is heavy. Also Ghostculture. SB: I guess it means that it is independently owned. Definitely not “indie”. It just means that we own the label and we can do what we like rather than having to make money for shareholders so we can release the music we want to instead of releasing what the mainstream wants. We are just like the musical equivalent of an independently owned coffee shop instead of the major label’s Starbucks. There is also a concept of independent spirit, which is the idea of going your own way rather than following the herd. 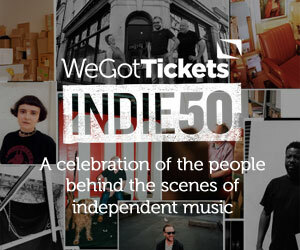 WeGotTickets: After years of taste making, what has been the guiding principle behind the bands you choose to release? SB: Still the same really but in fact becoming stauncher in the idea that we should only release music that we love – something that is original and creative and comes from the heart rather than created to be a commodity. People always respond to honesty. WeGotTickets: As mentioned you’re nearly at 20 years now, do you find you’re still committed to the same outlook on releasing music as you were back then? SB: As mentioned, I actually think we are much more committed to that idea now – even in the last year or 18 months we have started to be stricter. The idea of no compromise is becoming more important. WeGotTickets: Do you always see a band live before working with them? SB: Oh yes… I have been burnt by not doing that. SB: Very hard to say but each year I book the music at the Crows Nest at Glastonbury and every year it is a hell of an experience and definitely something to witness. Early Hot Chip shows were always great fun. Metronomy at Royal Albert Hall was a real moment as well. 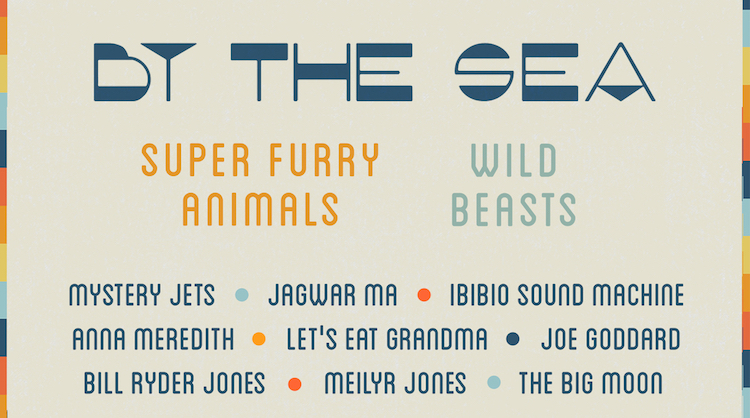 WeGotTickets: You launched By The Sea last year with some great headline acts, what was it that prompted the move into such a large-scale live showcase? WeGotTickets: What made you want to do it in Margate? SB: Margate has a great character all of its own which provides something for festivalgoers to explore. The coastline and the town itself provide a unique backdrop and Dreamland is a ready built bonkers festival site within reach of London and Kent but definitely somewhere else. Every great festival needs to have its own vibe and Margate is there to lend that, so in some ways half the work is done. Buy By the Sea tickets here. WeGotTickets: Live music carries greater weight than ever for artists ‐ have you seen the bands you work with outlooks’ on it change in tune with this? SB: I think artists realise that they need to take it seriously. They need to be good at it – performing isn’t a crime, its part of their craft. These days we are pretty proud of our bands mostly getting on stage on time. The days of it being cool to be slack and go on stage late and let everyone down are well and truly over, thankfully! 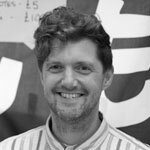 Read more about Stephen and the rest of our INDIE50 Judges here.